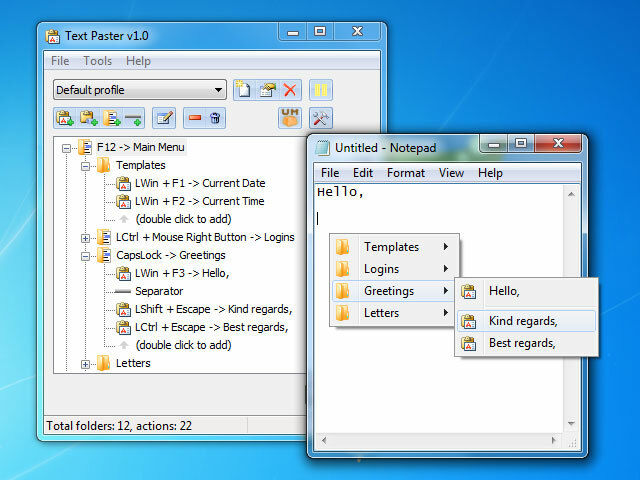 A program for instantly pasting into input fields in practically any program user-defined plain or formatted (RTF) text: standard phrases, greetings, generic replies, the current date and time, letter and document templates, e-mail and website addresses, usernames, passwords, selected text fragments and much more. Text can be pasted from a popup menu or by pressing a hot key. This software offers a solution for users who want to split long text messages into multiple pieces. Splits can be done every 160, 140, etc characters. This software can also be used for splitting Twitter messages up into smaller messages.